The playground of the rich and famous, Marbella is a place where there is something for everyone to enjoy. However, there is something rather special about being on a yacht, being on the ocean waves and off the shore…even if you are just bobbing around in the harbour. Not everyone has the millions of pounds necessary to treat themselves to a luxury yacht but that doesn't mean you have to give up the dream. By chartering a yacht you could just have the experience you're craving without the hefty price tag. 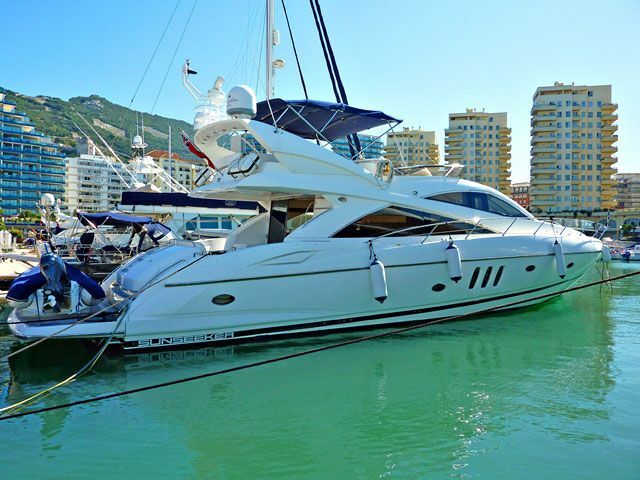 Here's a guide to Marbella yacht charters and everything you need to know. What does it mean to charter a yacht? Chartering a yacht sounds like a complicated process but essentially means no more than to hire the boat for an afternoon, or for the day. There's nothing complicated about the process and anyone can do it. You don't need to be an experienced sailor to take the helm as most companies will supply a captain along with the ship, who will take you where you want to go. Leaving you in charge of a yacht which is worth a lot of money would be a huge risk, and not one that many companies would be willing to take. By chartering a yacht, you can spend time in the same way as a member of royalty, or a Russian oligarch, but at a fraction of the cost. When you are looking for a yacht to charter, there are a number of factors you will need to consider when calculating the cost. You will find there's a choice of yachts to pick from, but each will specify the maximum capacity that can be on board. If there's a large group of you, you may be more limited in your choice. Check to see whether the capacity being quoted is with or without the crew included - they will count towards the total number of people on board. Many firms will supply just a single skipper, but some may want to put more than one person on board, particularly if you're chartering the yacht for longer. You may well find there's different price bands depending on whether it's low or high season; don't forget to check the right one or else you could be in for a nasty shock. There shouldn't really be any difference in the price of chartering a yacht, but just like holiday firms, the cost increases when demand rises in high season. Depending how long you are chartering the yacht for, you should receive a mileage allowance, in a similar way to renting a car. But if you travel further than the permitted distance, you will incur an additional fuel cost. This can be very costly so make sure you understand the distances involved before you make any plans. Finally, you may well have to pay tax at 21% on the price you're quoted, as it's not typically an all-inclusive quote in most cases. If there are any mooring costs in other ports, these will be in also needed to be added on too. What can I do with the yacht once chartered? If you charter a yacht for the afternoon, it's entirely up to you what you want to do with your time. 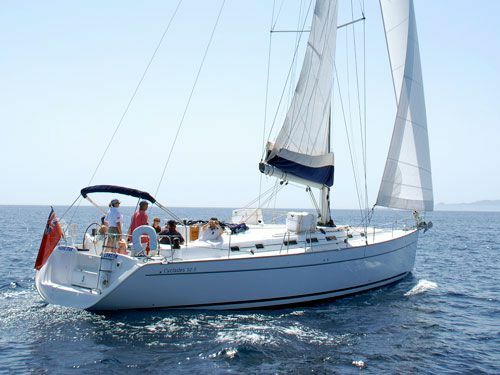 Most charters are offered either as a half day or full day experience (four or eight hours) and although an experienced captain will be provided, the decision is entirely yours about where you'd like to go. If you have some experience already in sailing vessels on the water, you might be allowed to take control of the yacht, but the individual from the company will still come along for the afternoon as a precaution. You might have to take an assessment before you're permitted to sail, even if you are accompanied. If you've never sailed before, you can either opt to sit back and relax or else ask the captain to show you the basics. Once again, the choice is entirely yours. You can bring your own music and alcohol with you but be aware that if you get tipsy, you're likely to get extremely sea-sick. You can ask the captain to anchor the yacht so you can go swimming in the ocean, or else you can simply relax and enjoy the fresh air on your face. Do remember there's a mileage allowance so it might be a good idea to check with the captain whether your plans are likely to tip you over the limit. Chartering a yacht is typically only suitable for children who are over the age of 10; this is due to the risks of going overboard. If you've never been inside a luxury yacht you will be blown away by the luxuries included in the vessel, including the latest technology. Although the exact facilities will vary from one yacht to another, some of the included items may well include a flat screen digital TV, the latest games consoles, MP3 and speaker system and a washing machine. If you're just chartering the yacht for a few hours, the chances are you will want to enjoy the experience outside and won't want to squander your precious minutes gaming or watching TV. If on the other hand you're chartering the yacht for a longer period, then you may well have time to take advantage of all that's included. Chartering a yacht may well be a special occasion, something you organise for a birthday, rather than an everyday occurrence. But when you're staying in Marbella chartering a yacht has to come near the very top of your list of things to do. The weather in Marbella is generally warm and storm-free all year round, but it looks like bad weather is brewing, the captain will rule out your trip. Their word is final and you won't be permitted to take the yacht out against their express advice. Do remember to check if there are any festivals taking place; it won't affect whether you're permitted to charter a yacht but you may find it's harder to get booked up, particularly for big events such as The Starlite Festival.